My desktop screensaver cycles through all the images on my hard drive. 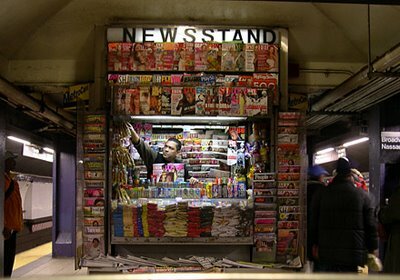 It's interesting to see what it finds and I'm often surprised by some of the images, like this one: Broadway/Nassau Newstand, December 2003. I just love these newsstands, I cannot even IMAGINE working at one, but I love them visually.